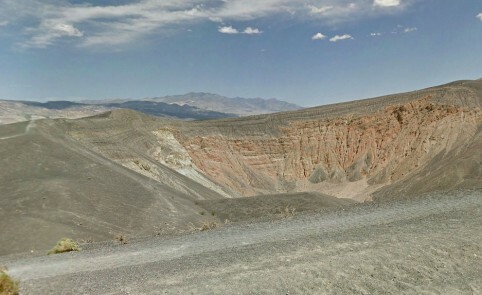 It’s unlikely that Google knows exactly how many panoramic nine-sided images it hosts for Street View or how many total miles its Street View cars have travelled since the project first launched in May 2007, but since that time Google Street View has become one of the largest, and most ambitious photography projects of all time. Ostensibly the project originated to provide matching street photography of cities for Google Maps, useful for seeing just what that coffee shop sign looked like or how an intersection is laid out. But as Google quickly expanded their Street View coverage, it seemed to me that the purpose of the service shifted somewhat. What is the practical or economic use of seeing every inch of a hundred-mile stretch of a lonesome highway, or every lane of a parking lot? Is there any ‘there’ there? Today it’s clear that the project has changed from a business use to one committed to documenting the entire world. 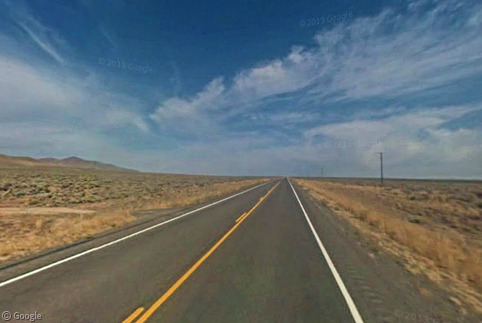 For example, is there some person who finds this particular field interesting or needs to see what it looks like in order to navigate this perfectly straight road? Has any user ever even looked at it with passing interest before? These 360 degree panoramic views at least provide some beautiful, if not otherwise meaningful, photos. And practically everyone with a web browser has seen an interesting or funny photo found on Google Street View. I’ve written here previously about how I was inspired by the things one could find just trawling around on Street View, but there are loads of other bloggers and artists who are doing pretty much the same thing — some with more interesting results than others. I love Street View art and follow every example I find. What follows is a brief survey of the state of Street View art projects. I asked Rafman a few questions about his process. Matt Bucher: What was the first thing you saw in Street View that caught your attention as something greater than just a map? How quickly did you realize the potential of the medium? Jon Rafman: It was a roadside tavern straight out of Easy Rider. I instantly saw the potential. MB: What percentage of images do you reject for each image you post on 9-eyes? MB: What sort of Street View images appeal to you more: images of beauty, the unexpected, or the absurd? Or is it something else? 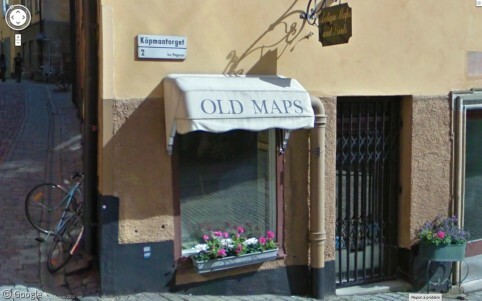 MB: Which street view image are you most proud of finding? 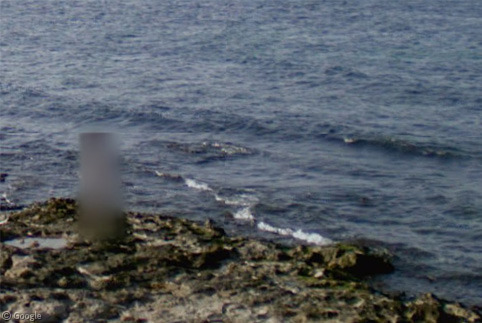 The original image of the woman was available on Street View for a long time, but at some point in the last couple of years she was finally blurred out. You can read more of Rafman’s ideas on Street-View-as-art in this article, and on his own website. Other serious artists have taken an interest in Street View. For example, Phil Thompson took some of the blurred images from within the museums featured on the Google Art Project (which features interior Street View imagery of museums) and created a project called “Copyrights“. 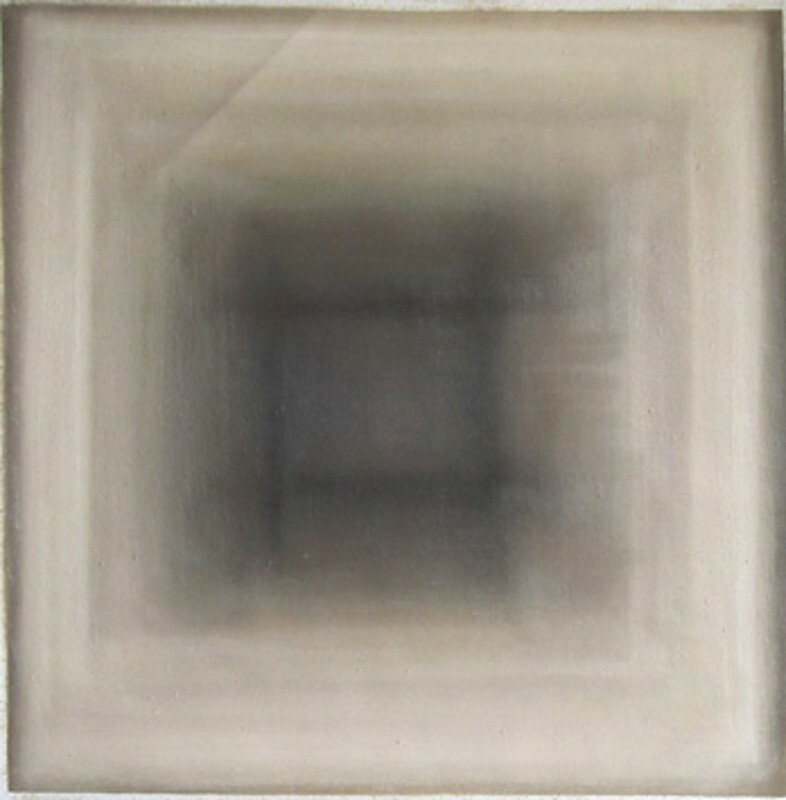 The blurring patterns look like complex oil renderings and take a new shape in their own context. 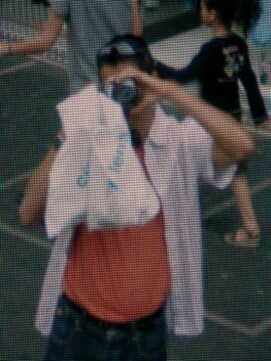 The photographer Michael Wolf created one series of Street View images, entitled “Paris“, by actually photographing the computer screen. He also collected a series of disasters found in Street View, which he titled “A Series of Unfortunate Events“. 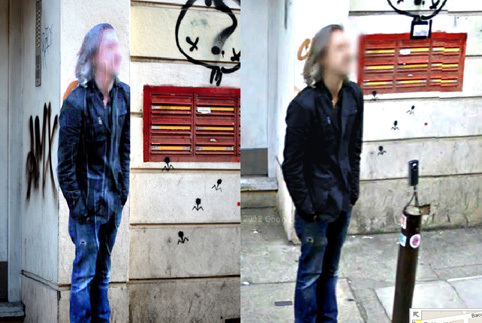 The Streetghosts project takes pictures of bystanders captured by Street View cars and turns them into posters which are then pasted up at the spot they are captured on the map. Aaron Hobson took Street View images and added some post-processing effects to create a creepy alternate world. He continues to post new images on his Facebook page. 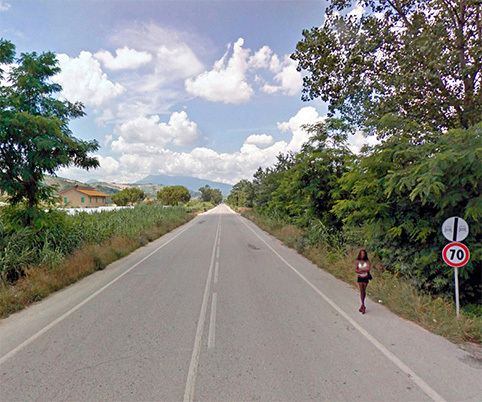 Mishka Henner created two separate series of images called “No Man’s Land” and “No Man’s Land II” which depict roadside prostitutes. 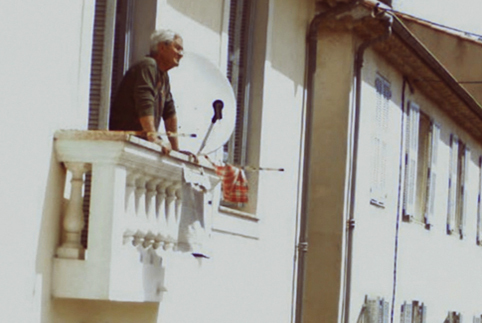 Greg Allen, among his many Street View projects, followed one particular fellow around Street View and published the results as “walking man“. Some other bloggers focus on Street View imagery from a single country, or look for funny or strange things on Street View and so I wouldn’t call them art per se, but still they are interesting in what each is able to do with Street View imagery. These are just a selection. This is not a new idea, obviously, but a great ship gathers many barnacles. And because the Street View API is public and because the sheer amount of imagery keeps increasing, there are new projects, tumblrs, twitter accounts, and art blogs starting up all the time. One of the more interesting recent projects is called EMMA. 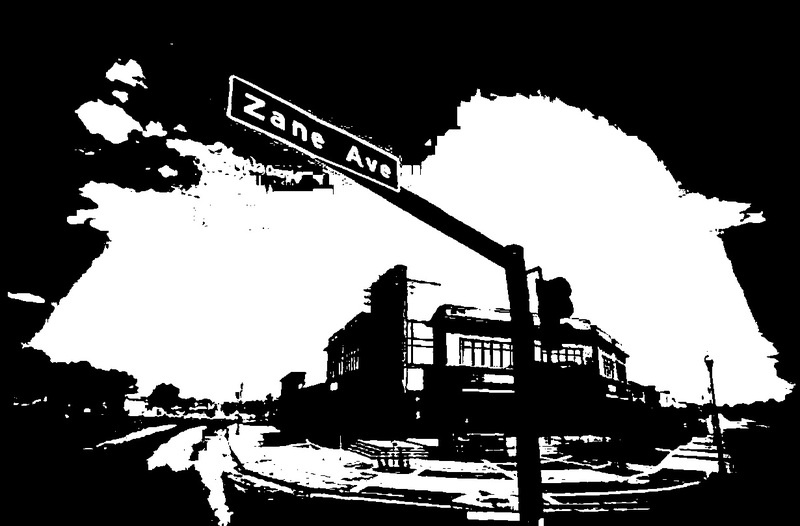 It converts Street View images to black and white and follows them with randomly generated text to try to create the impression of a story. Keir Clarke’s Unilapse uses full screen images and a scrolling UI. Hyperlapse creates fast animations of Street View imagery so that you can essentially “drive” along any route and watch the images roll by like a video. Another version of that idea is at videostreetview.com. This short stop-motion video titled “Address is Approximate” by Tom Jenkins uses Street View imagery to tell a story about escape. And, of course, the band Arcade Fire used Street View to great effect in the video for their song “We Used to Wait“. The Beat, a project from Rutgers Social Media Lab, matches geo-tagged Instagram photos with Street View imagery of the same location. Google Kiss Finder takes users’ stories of their first kiss and matches the location with Street View Imagery. Alan Taylor at InFocus collected a bunch of images where the road ends on Google Maps and called it “The Ends of the Road”. This video from the Wall Street Journal makes the point that you can see a lot more besides streets on Google Street View. Where does Google go from here? Once every road, every trail, every river, every store interior, and every tourist attraction is mapped and photographed and updated, what’s left? Google already has a feature where anyone can add photos to the map using Panoramio but in my opinion, these add little in terms of quality or user experience. The quality and accuracy of them vary widely and they aren’t dynamic, so they don’t offer the kind of consistency you get from interconnected panoramas. Google recently introduced a feature to allow Android users to upload their own panoramic images (which are first converted to the photo sphere format) to the public-facing Google Maps site. These are more interesting because they are panoramic and, like the Street View trekkers, a person with a mobile phone can access spots that a car or a trike cannot. The next Orwellian step seems to be video. If users can upload photos and panos, why not videos of public places? There are already consumer cameras on the market that mimic Street View’s 360-degree view of the world. But if Google can photograph every street in the world, why not offer a live cam of every street in the world, or live satellite cameras with zoom capability? The user interface of live video streams has never been as dynamic as that of interlinked panoramas or a basic map, but if Google can find a way to integrate video with their existing Street View and map infrastructure, the world will be a very different place – a true panopticon. This seems more realistic than adding video at this point. Google has already updated the imagery in some areas three or four times, giving them plenty of historical material, and they already maintain a few collections of limited historical images like this online monument to the areas of Japan worst hit by the 2011 tsunami. However, Google’s efforts with Street View seem to be focused, for now at least, on recording the rest of the world. If you want to see when Google has released Street View imagery for certain countries or regions, this Wikipedia page is invaluable. Urgent inchoate waking thought that Streetview is our most ambitious attempt so far at depicting the mind of God. The 1:1 Borgesian map. Great list with a lot of interesting things. I’m very happy my work (EMMA) was mentioned here. I must say that the text is not randomly generated, but extracted from a very long dream diary that comes from dreambank.net.